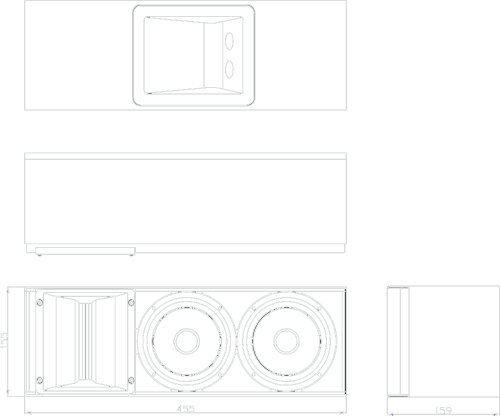 The SR9 is a passive 2-way ultra-compact loudspeaker, specifically designed for applications where ultimate fidelity response needs to be projected with wide horizontal and precise vertical coverage. 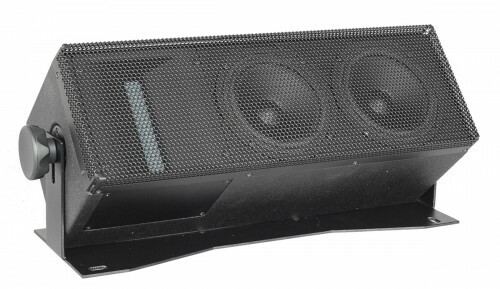 As “signature” of all Alcons designs, the SR9 combines remarkable clarity and intelligibility with high SPL. Loaded with the RBN401 pro-ribbon driver, with its patented wide, horizontally controlled dispersion, the system features 120° dispersion with a super fast transient response for unsurpassed intelligibility and a “digitally” dynamic response. The narrow vertical coverage offers maximum “gain-before- feedback” directly above (on stage) or under (orchestra pit) the speaker. The double 5” woofers are non-vented, for a smooth low-end roll-off; This sealed box tuning enables easily adjustable low frequency response. The Signal Integrity Sensing™ pre-wiring ensures complete cable/connector compensation between the SR9 and ALC. 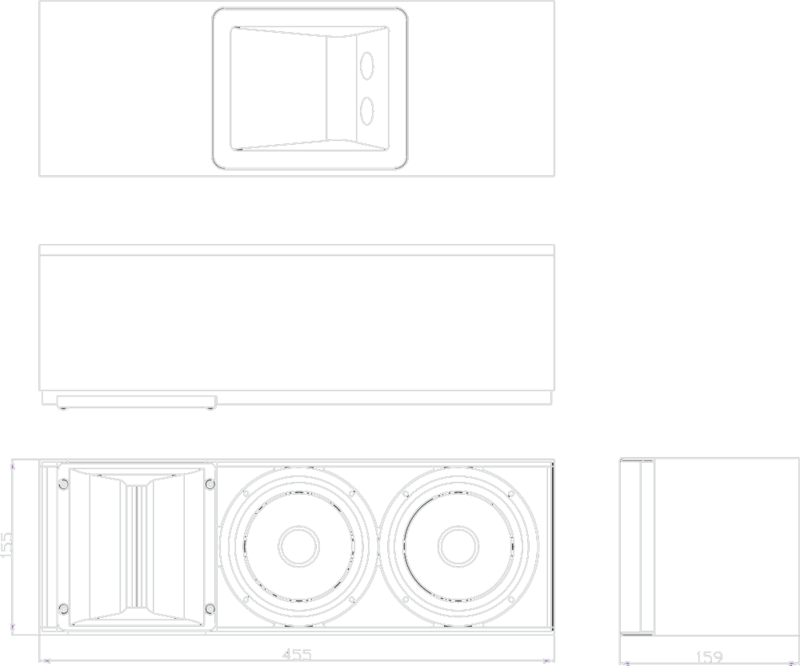 For full system performance, the SR9 is to be used in combination with an ALC amplified loudspeaker controller. Driven by the ALC, the SR9 delivers maximum sound quality with increased headroom, under dedicated equalisation and inaudible (power and excursion) protection.